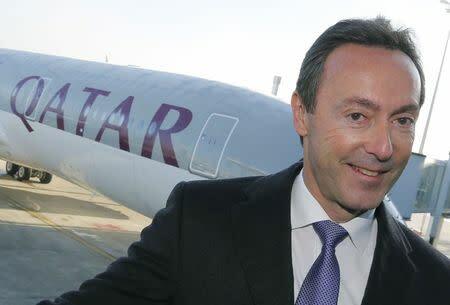 PARIS (Reuters) - Ten years ago, the boss of Qatar Airways, who takes his first new A350 jet this week, warned Airbus it was flying off course. Boeing was knocking on his door with a "super-efficient" jet boasting 30 percent fuel savings thanks to a carbon-composite design. In Toulouse, some Airbus engineers, riding high after overtaking Boeing and suspecting a short-lived marketing stunt, laughed off the future 787 with a “tail like a dolphin”. 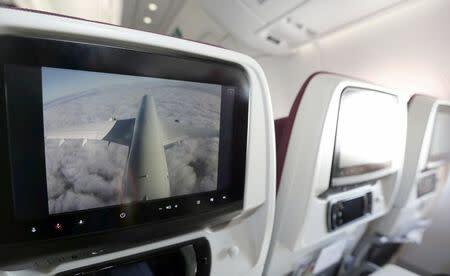 Qatar Airways CEO Akbar Al Baker urged Airbus to take the 787 seriously and said its draft response, a quick fix to its A330 with new General Electric engines, was inadequate. growth, Al Baker recalls, "there was a requirement for an aircraft that has capacity that is optimal on two fronts: customer comfort and technologically forward-thinking". That clamor for both cabin comfort and better economics eventually forced Airbus into a fundamental shift in strategy. But after Al Baker's warning, it took another two years of sales setbacks and doubts at the highest management level before Airbus agreed to build the A350XWB to be delivered on Monday. That story is revealed here after interviews with customers, suppliers and industry sources. Airbus declined comment. The fluctuating, decade-long journey from half-hearted tinkering to an all-new family of jets highlights a chess game still being played out as Airbus and Boeing battle each other in the wide-body market, valued at $1.9 trillion over 20 years. Next month, the A350 will start competing with the 787 in the skies, having garnered 778 orders against 1,055 for the 787. To build the carbon-plastic jets, planemakers have tested themselves to the limit. But they have also carefully avoided a head-on collision, searching for pockets of empty space in the twinjet market by unveiling variants that rarely have precisely the same capacity as their competitor's. Some analysts say that may help support their profit margins, though as the A350's story demonstrates, competition for sales is intense. "I think they are now pretty well matched," said Steven Udvar-Hazy, who as CEO of lessor ILFC at the time was the world's biggest buyer of commercial jets and would prove to be an important influence on the A350s development. A decade ago, air travel was changing. Planes with two engines were able to fly further, and proving more efficient than big jets with four engines. Boeing's twin-engine 777 was beating Airbus's four-engine A340 in the market for big planes, and Airbus's huge four-engine A380, the biggest airliner ever, had yet to enter service. Airbus was strong in the market for small wide-body jets, doing well with its twin-engine A330. 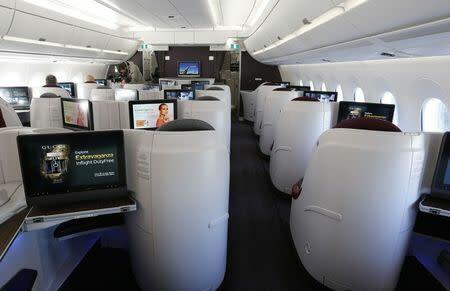 But fast-growing airlines like Qatar and Emirates were demanding more comfortable cabins with space to install new lie-flat beds. That might have suggested a new fuselage, a decision planemakers rarely take more than once every couple of decades. But Airbus was behind in new materials technology, focused on finishing the A380, and hoarding resources to improve its most profitable cash cow, the A320 small jet, in case Boeing refreshed its 737 model, people familiar with the matter said. When Boeing launched the medium-sized 787 to compete with the A330, Airbus responded defensively. It's answer, the A350, was basically an A330 with carbon wings and new engines, rather than a new plane. "People were cringing at the time, saying it was inelegant or ‘how can you put a patch on a broken leg'," said Henri Courpron, chairman of Plane View Partners and former head of Airbus North America. Soon, Airbus customers in Boeing's backyard, like Northwest Airlines and Air Canada, were writing checks for 787s. Airbus found itself straining to compete with both flagship Boeings. In December 2005, pressure reached boiling point with two big Boeing wins. Qantas chose the 787; Cathay Pacific picked the 777. An internal post-mortem on Qantas laid out the problem: the original A350 was "reactionary" and Airbus had lost credibility. Airbus Chief Executive Gustav Humbert called in his 43-year-old strategy chief Olivier Andries and gave him a delicate task. "I asked him to take the best guys and set up a long-range policy team," Humbert, who is now retired, told Reuters. Humbert urged him to consider whether Airbus could capture 50 percent of the big-jet market, up from 35-40 percent, by straddling the largest 787 and smallest 777: around 300 seats. "I was encouraged to think outside the box ....about the whole long-range strategy," said Andries, now chief executive of engine firm Turbomeca. He declined to discuss details. Monitored by a team of retired "Wise Men," the group of 10 drew up confidential scenarios from makeovers to bold new jets. In March 2006, Udvar-Hazy, who now runs Air Lease, piled on pressure by urging Airbus to drop its cautious A350. "We looked at the economics and concluded it was not a contender in a meaningful way. So I felt it would get a silver medal and didn’t deserve to get built," Udvar-Hazy told Reuters. In Toulouse, it was proving hard to make the business cases stick, but one proposal labeled "1d" looked promising. It dived deep into a planemaker's armory of wings, cockpit, cabin, engines and the all-important wider fuselage. It would cost about 11 billion euros to build rather than the 4 billion budgeted for the original A350, while setting Airbus up for 20 years with projected sales of 2,000 planes instead of 800. But it was still a step behind Boeing's 787: the tube would be in metal rather than carbon. Meanwhile, an internal crisis cast a new shadow over the proposals. Delays to the A380 hit share prices in June 2006 and forced Humbert to resign. The Farnborough Airshow was looming and a divided board was not ready to commit to a new project. “No decision was taken to discontinue the original A350," Andries said. "Most senior executives at the time were against the Extra-Wide Body. Even in the summer of 2006 the decision was not secure." Airbus nonetheless took the risk of presenting the concept at the July 2006 show. Even as it called the plane a "step ahead of the 787" it made little reference to the metal shell. Humbert's replacement, aerospace outsider Christian Streiff, took top Airbus managers to a converted French abbey to reflect. Over dinner, according to a person familiar with the event, he asked them to raise their hands if they thought Airbus should build the very plane they had publicized weeks earlier. Only a handful did, including sales chief John Leahy and Andries. Nevertheless, the engineers pressed on. Soon, they came up with a cost-effective way to make an all-carbon body assembled from panels, which they felt would be cheaper to build than the single giant piece in the Boeing 787. In December, 2006, the reversal was complete: the board approved the new, all-carbon A350XWB. Meanwhile, the battle of the air goes on. Whether Airbus can meet Humbert's challenge of 50 percent wide-body market share depends partly on the success of Boeing's latest move - a larger and upgraded 777, Udvar-Hazy said. The answer may lie in a drawer in Toulouse. Industry sources say Humbert's planners drew up, but discarded, a variant for a larger version of its new jet called A350-1100. That could provide a clue to Airbus's options next decade.